"Action for People have funded 33 scholarship music places for Charity Provided staff to deliver over 683 hours of befriending and mentoring. Helped fund over 26k hours of charity support services. It's good to give back! 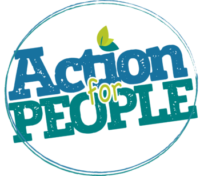 Action for People run a wide range of training courses and is a registered training centre, delivering CPD certified courses. The team have helped deliver over 3323 hours of events, workshops, clubs and lessons in the last two years." We have funded training staff to deliver 33 scholarship charity music placements in the last two years!" The creative team have built support websites and services across the UK in Advice and guidance, mental health support, Support With confidence for older people and much more gaining over 200k page hits for those seeking support." The Action team have designed brochures, posters, user manuals and marketing materials for Local Authorities, Public Health teams, charities, community groups and commercial organisations." What Impact have we made this year? Are you sure that you are getting your GDPR requirements right on a day to day basis?